Welcome to Pilsen! This is your inside source to the cool, unique and artful neighborhood of Pilsen in Chicago. Pilsen was originally settled by Irish and German immigrants, who came to work at the factories and stockyards nearby. In the 1960s, the construction of the University of Illinois at Chicago displaced the Mexican community living in the West Side area, many of whom resettled in Pilsen. Ok, enough with the history lesson. Let’s talk about the important stuff: what to expect when you visit Pilsen and where to go. In recent years Pilsen has become the “Soho of Chicago,” a cool place where young artists live, work and exhibit their work. Pilsen is a neighborhood full of history and inspiration. The walls of Pilsen are colorful as muralists have left their mark, and many of the murals tell the story of the people of Pilsen. Take a break and enjoy the scenery. 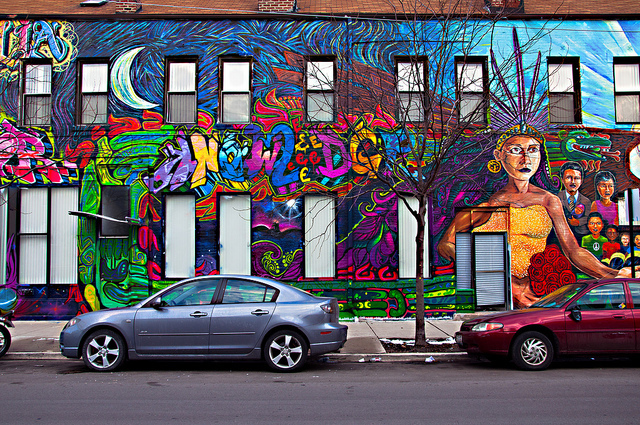 The beauty of Pilsen is found in the streets on the outside walls of local business or houses, however many local artist have studios open to the public. Prospectus Art Gallery located off the 18th street Pink Line is one of the neighborhood’s best galleries. There you’ll find breathtaking Latin American traditional and contemporary art. If you plan on attending make sure to call in advance to RSVP. Another must see is the National Museum of Mexican Art – after visiting this museum you’ll have a better understanding of the Mexican culture. This is the only museum in the county solely focused in the Mexican culture; entry is free. Not into art? No problem, Pilsen has great food too! The neighborhood serves up not only Mexican food, which you’ll find the best of in Pilsen, but also great local cafés. 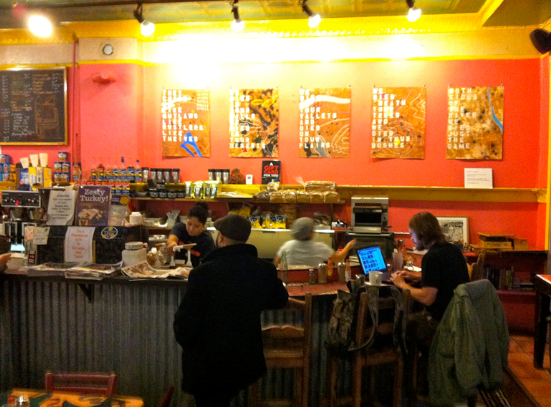 When visiting Pilsen you must stop at Café Jumping Bean, located just few blocks off the 18th street Pink Line. This café lives up to its name as it always has a crowd. Don’t let that fool you, this café is one of the most inviting neighborhood coffee shops around. Try the Mexican Hot Chocolate with an espresso shot and you’ll experience the perfect balance of flavors. Not in the mood for coffee? How about some cocktails? We have just the place. Simone’s, located near the Halsted Orange Line, offers good food and beer. Try the Pilsen Burger: jalapenos, guacamole and chihuahua cheese – absolutely mouthwatering. Simone’s is best known for their beer selection, they have a spectacular selection of craft beers. Enjoy your favorite beer or try a new one while listening to your favorite tunes at Simone’s. If you continue to walk west on 18th street, you’ll encounter Honky Tonk BBQ. You must try their pulled pork sandwiches, the meat is spiced to perfection. 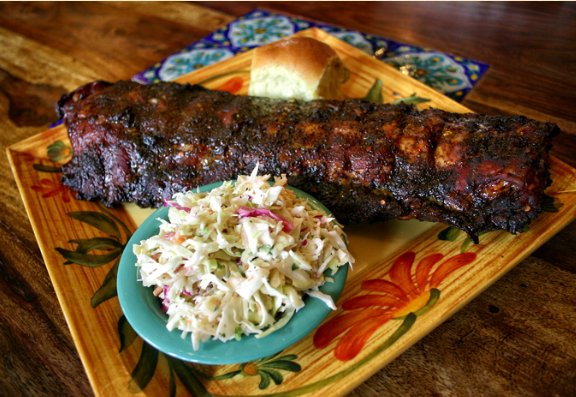 Honky Tonk BBQ provides excellent service to their guests, and the servers and bartenders are extremely friendly. This is type of place you go for the food and stay for the music and atmosphere. Next time you’re in Pilsen make sure to stop by one of these awesome places! Summer’s in the air, time to plan the Ultimate Summer Festival Hit List! Here is your inside guide to summer festival survival tips. During the summer Chicago is festival city – after all, we only get a few months of summer. Every year I create my festival hit list around May as that’s when most festival dates are released. Most of the festivals I attend are free with a suggested donation, except for the annual music festivals, for which tickets must be purchased in advance. If there were a ‘Frequent Festival Goer’ rewards program, I would be a premium member. This summer I plan to attend 35 city festivals, so far I’ve been to 10; summer is still young! I’ve been attending festivals since I was 18, I won’t tell you my age but let’s just say, I have been to over 100 festivals (yes, I keep count). So far this year, I’ve been to Manifest 2014, Chicago Ribfest, Spring Awakening, Pride Fest and Pride Parade, just to name a few. Well, enough about me, let’s talk about the important stuff. What to bring, what not to bring and what to expect at a festival. If you’re planning on attending a music festival such as Lollapalooza, North Coast or Riot Fest…..BUY TICKETS NOW! Tickets for these events sell out fast – very fast. You do not want to be the person not going because you don’t have a ticket. Websites such as StubHub or Ticket Hub re-sell tickets, usually at a higher price. Ok, so you have the ticket or better yet you don’t need one, now what? Let the planning begin! The most important thing… what to wear? Rule number one is to be prepared for ANY weather. Chicago’s weather this summer has been somewhat unpredictable to say the least. I’ve witnessed a sunny warm morning turn into hail and lightning storm. I recommend a rain jacket or poncho, sunscreen, bug spray, light clothes, and extra shirt, all of which I didn’t bring the first year I went to a summer music festival. Planning an outfit can be a lot of fun, especially if you like to dress up in costume (trust me you won’t be the only one dressing up at a music festival). Make sure you wear comfortable shoes as you’ll be on your feet most of the day. No matter what festival you’re attending, music festival or city festival, the most important thing is to keep hydrated. Alcohol doesn’t count! Drink in moderation as a full day of walking and dancing will dehydrate your body fast. Most festivals do not allow outside bottles, but make sure to dink plenty of water the day before to prepare your body. A trip to the hospital after a festival is not fun. INSIDER TIP: I usually purchase a bottle of water at the festival and refill it at the water stations. This is an easy way to save money and avoid the long lines to get water. You can also invest in a Hydration Pack (trust me, this is an investment). 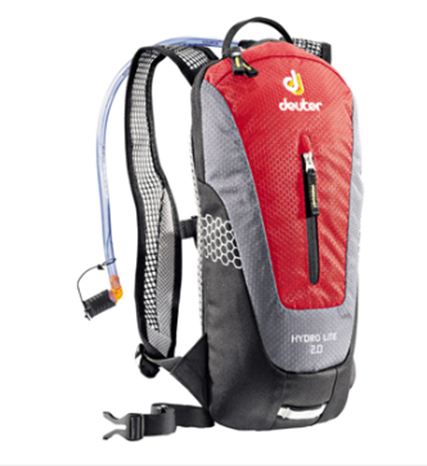 If you don’t know what a Hydration Pack is, it’s basically a backpack with a water pouch and a straw. Have a meeting place for you and your friends. There’s nothing worst than going to the bathroom and returning to where you thought your friends were waiting to find out they are not there! In this case your phone is your best friend, if it stays charged. INSIDER TIP: Invest in a portable charger! You’ll want to take pictures to share on social media during the festival. You do not want to get caught with a dead phone. Remember to have an open mind about the festivals, even if they don’t turn out to be what you expected. No matter what festival you attend the ultimate rule is to have fun and create memories with friends. 1. Get out and go for a walk, jog or run! 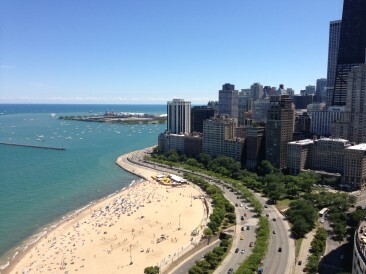 Summer days in Chicago are limited, so take advantage of the sun. Enjoy this beautiful city while working out. 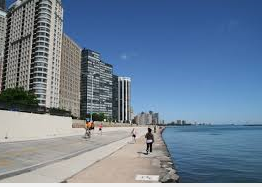 TIP: During the summer I enjoy running by the lakefront. I drop my stuff off at the gym and head out for a lakefront jog. I find myself jogging a longer distance because I am focused on the scenery instead of treadmill distance calculator. Nothing says summer like the city festivals. In Chicago we find any excuse to throw a good festival. Rub on a good layer of sunscreen and get out there! Good food, good music and good drinks. TIP: Find a full list of city festivals at www.cityofchicago.org. Most of the festivals are free with a suggested donation and fun for the entire family. There’s nothing like the present to conquer fears. The first time I kayaked I was mortified but within a few minutes I felt as if I had been kayaking my entire life. During the summer sites such as Groupon and LivingSocial have amazing deals. TIP: Check out groupon.com for $25 for a two-hour weekend kayak rental (a $40 value) or $49 for a 30-minute jet-ski tour Friday–Sunday ($95 value). Don’t own a bike? No problem, just Divvy! 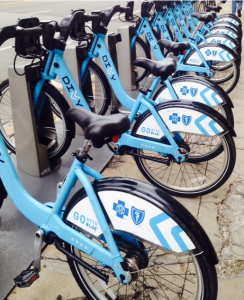 A new bike sharing system, Divvy, featuring thousands of bikes at hundreds of stations from Andersonville to Hyde Park, available 24/7, 365 days a year. Grab your helmet…ready? Set…GO! After all that physical activity you’ll need to fuel up. The best way to do this is in style with Chicago legendary deep-dish pizza at Gino’s East. Layer on layer of cheese melted to perfection, that’s what you’ll find at Gino’s. Once you’ve had Gino’s East, no other pizza will compare. Why not take a day to enjoy what the city has to offer? We live busy lives and don’t always have time to enjoy the city. Plan a Chicago getaway; Segway through downtown, learn about the incredible architecture or simply relax and watch a movie in Grant Park. Cheer on your favorite baseball team at a home game. 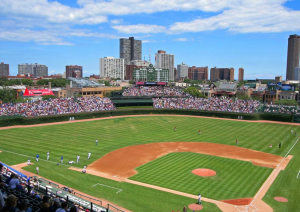 Celebrate a century of Wrigley Field by attending a Cubs game. If you’re a Sox fan check out the game night fireworks. Not a baseball fan? Go for the food! 9. Fun at the Pier. No matter what you do this summer…just have fun under the sun!